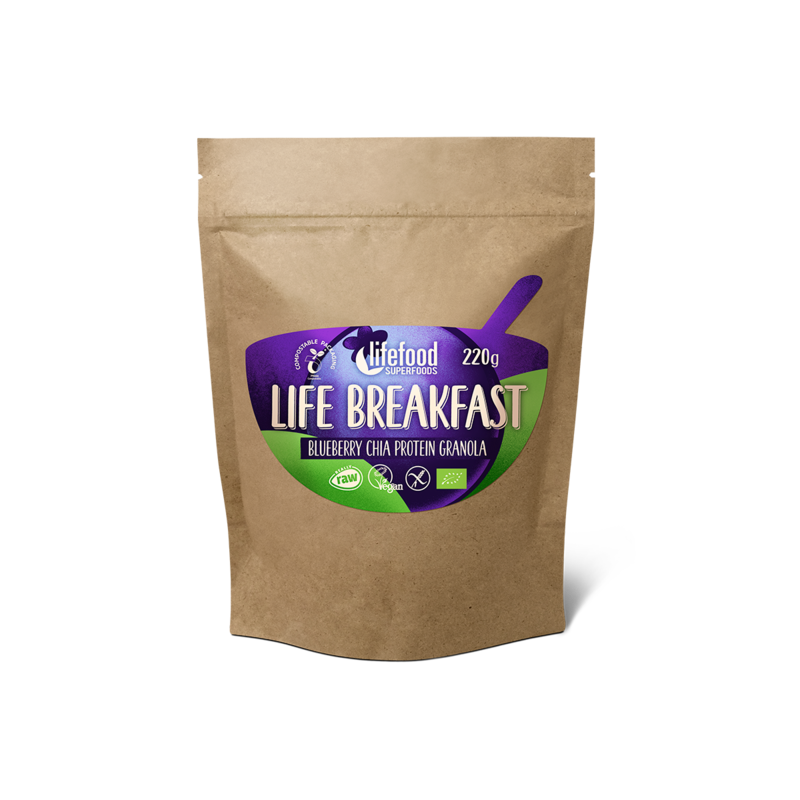 You don't need so much time anymore to make yourself a fully nutritious healthy breakfast – we created one for you. 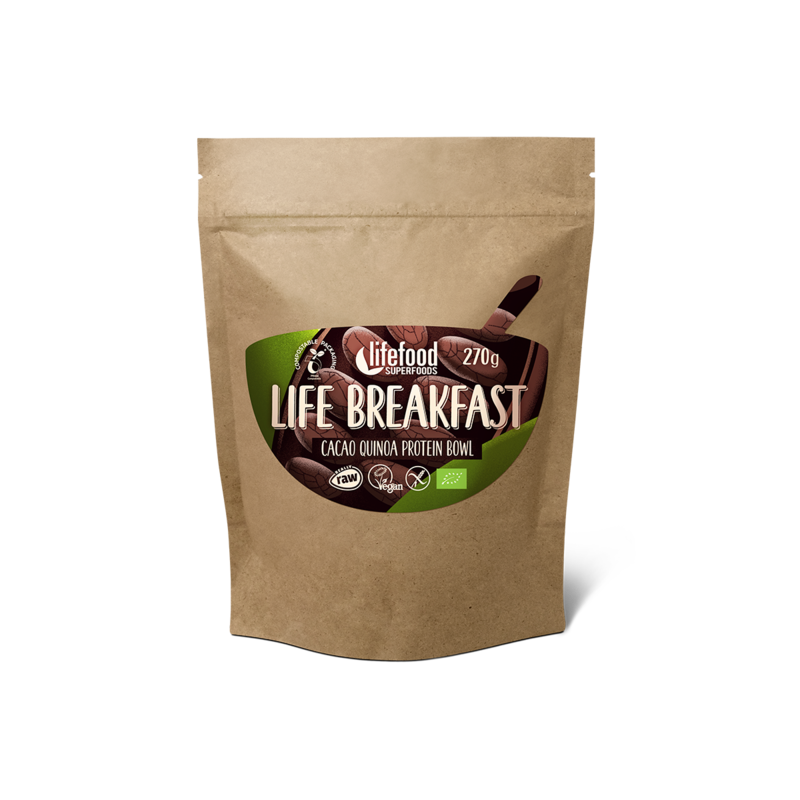 I't s called Life Breakfast. We know it well – the big rush in the morning when instead of breakfast you grab a banana to eat on the go or nothing at all.. 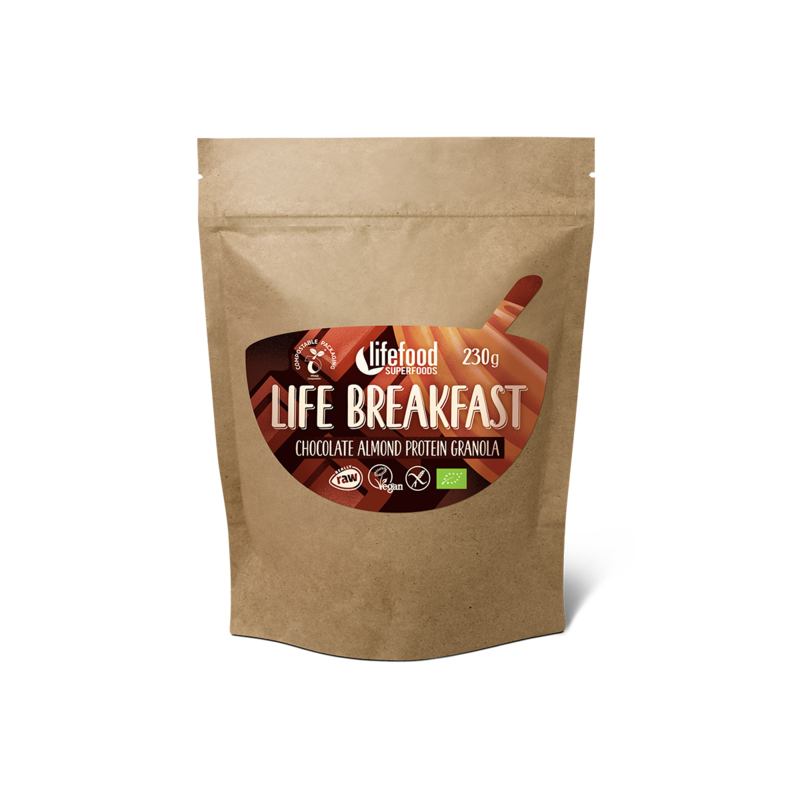 But breakfast is an important meal as it gives us energy and important nutrients for the entire day. 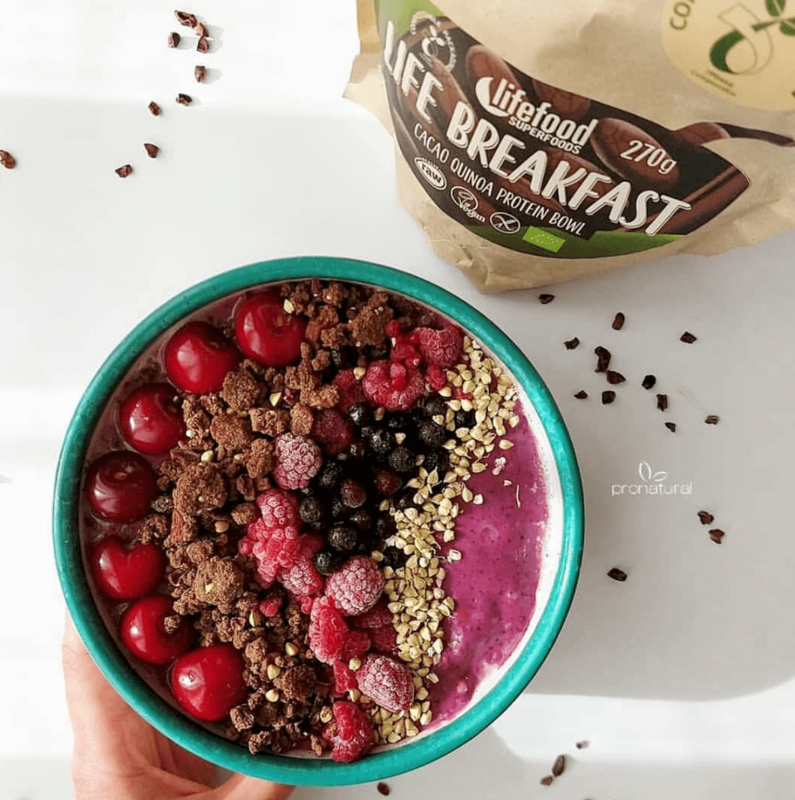 Be it not having enough time in the morning or struggling to find healthy fully balanced breakfast options, our raw granola and porridge are a perfect solution. 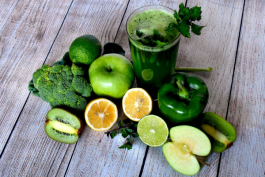 We created them only from the best healthy ORGANIC and RAW ingredients including superfoods and plant raw protein. 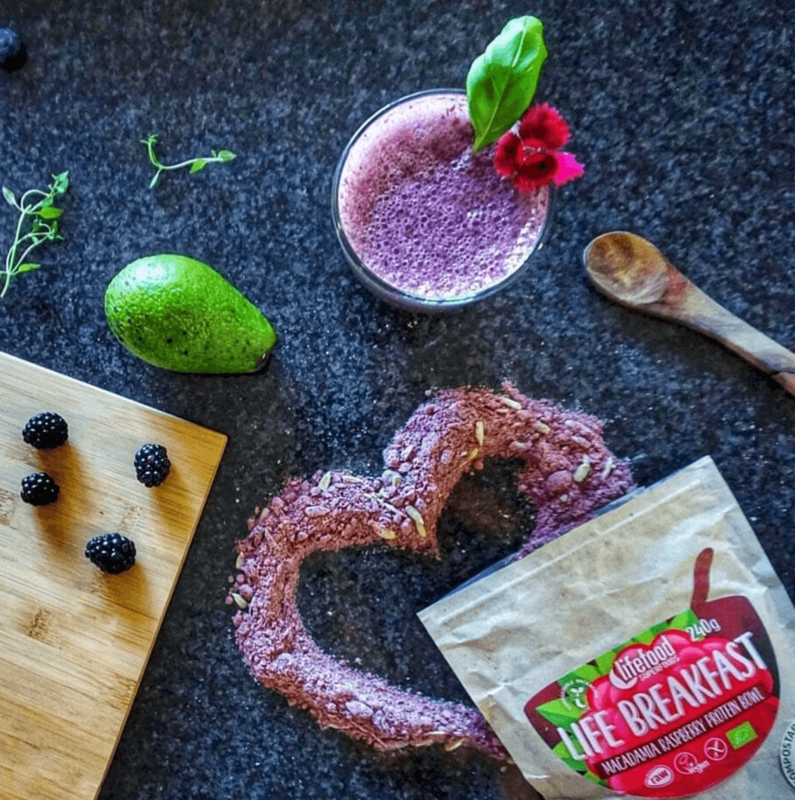 Try it ourselves and share your creations with us on Instagram and Facebook with #lifefood! 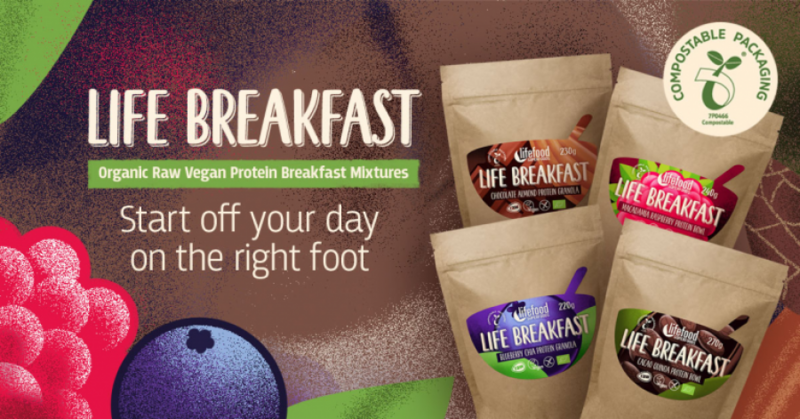 All four Breakfast mixes are naturally gluten free, in the highest Really Raw Vegan quality, with no added sugar and each recipe is unique and perfectly balanced. Two are in the form of granola, while the other two are in the form of porridge. Let’s call it Super-porridge! 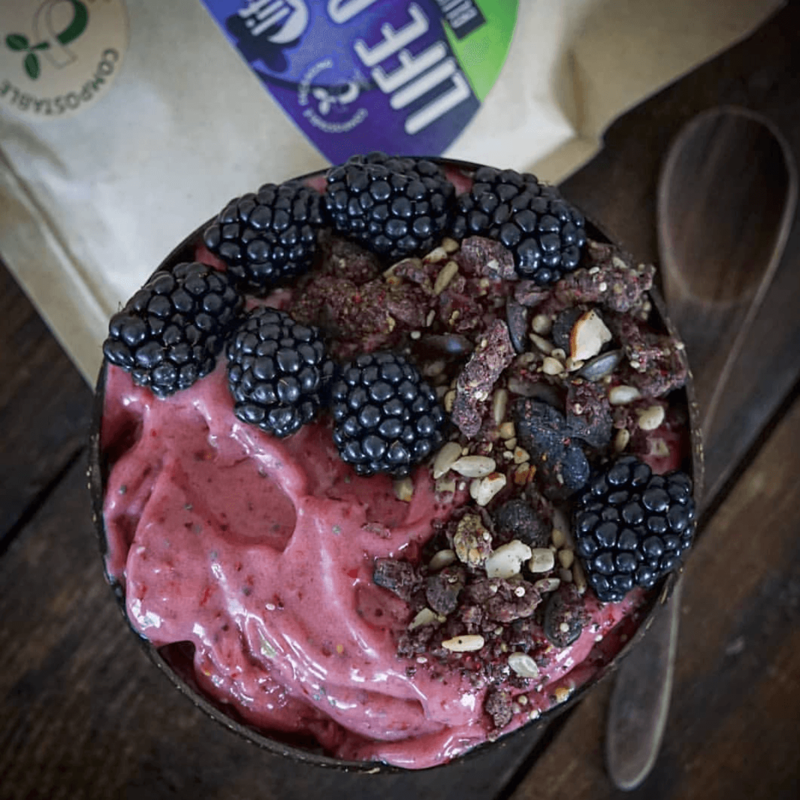 While you can enjoy granola as it is, the porridge has to be mixed with plant milk or water. Up to you to decide how dense you want to make it. You can also use your creative talents and add fruits or nuts. Through our recent tasting, we discovered that cacao porridge combines excellently with banana. Equally delicious with fresh blueberries! 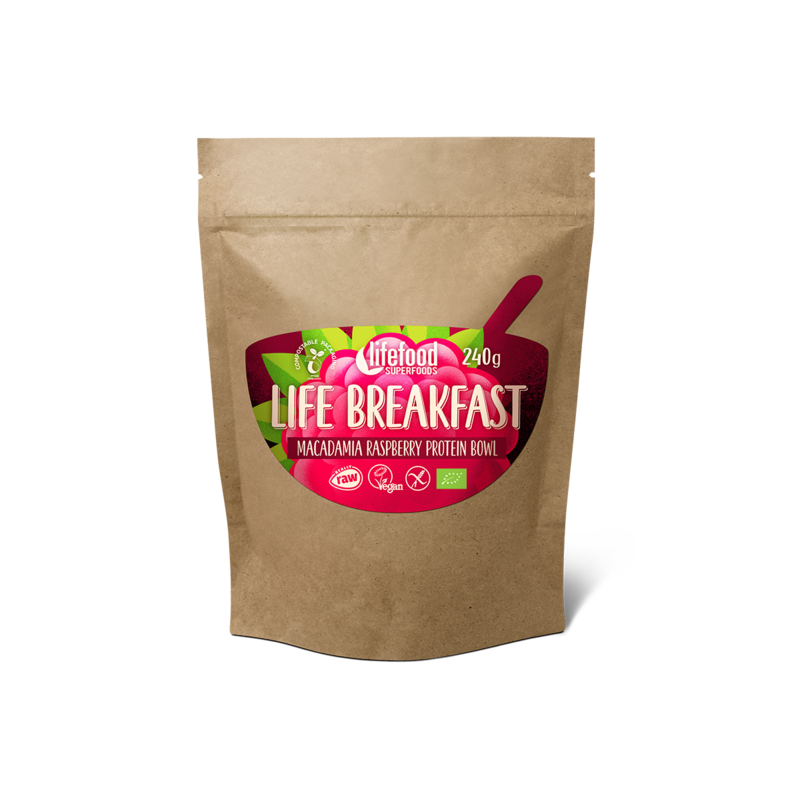 The sealable bags serve several breakfasts and you can easily pack them in a backpack for your travels or in your handbag to eat in the office. 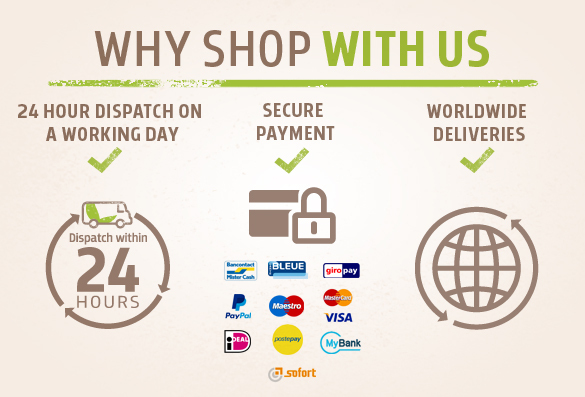 As we care about nature, we created fully compostable packaging for these products. Which one to choose? There is no doubt the right one for you. What feels like normal business practices to us are definitely not to others. Learn why.